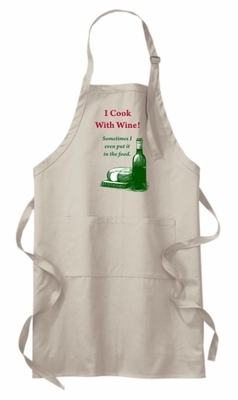 I Cook With Wine, sometimes I even put it in the food apron. Our Adjustable Bib Apron comes with 3 Pockets. Remember� you found the I Cook With Wine Apron at TShirtHub.com, where high quality came at a low price.